Proceeds benefit the city wide holiday toy drive! Families can enjoy food, drink, face painting, jumpers and music. Those wishing to explore the Haunted House can buy a wrist band. Volunteers are needed each night to assist in the concession stand. Volunteers are needed to serve in the hospitality room. Do you enjoy painting? Do you enjoy Zombies? This is the perfect opportunity for you! 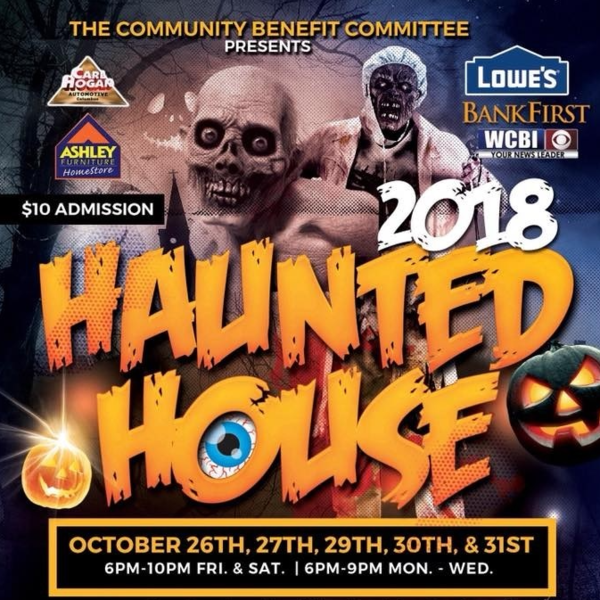 Log in to see who is volunteering for 2018 Haunted House!